Lollar Guitar Pickups announce the release of the new Regal humbucking guitar pickups. Press Release–If you’ve been admiring Andy Timmons’s signature Ibanez, Billy Corgan’s new Fender Strat, or Steve Morse’s custom Music Man but can’t break the bank, DiMarzio has the answer. For 2009, we’re releasing the DiMarzio Andy Timmons AT-1, the Billy Corgan BC-1 & BC-2 and reintroducing the Steve Morse Neck and Steve Morse Bridge model pickups – the same custom signature pickups in these artists’ guitars. Andy has been described as a “player’s player” because of his great touch, phrasing and tone. Since 2001, he’s been playing a custom DiMarzio bridge humbucker and until now that pickup has only been available in his signature Ibanez guitar. For the first time we offer the Andy Timmons’ AT-1 with the balance, warmth and clarity of a classic humbucker and the attack of a hot rock pickup. As a result of working with Billy Corgan on his custom Strat, we modified the Air Norton S for the neck and the Tone Zone S for the bridge. Billy asked for a deeper sound from the low strings without losing punch and a cleaner sound with high-gain amps. We lowered the frequency response of one coil in each pickup to boost the bass while opening up the mids. The end result is the new BC-1 and BC-2. Steve Morse has developed a unique approach to soloing and we followed Steve’s lead in developing unique pickups to be there when he needs them. Steve likes an even balance up and down the fingerboard. The Steve Morse Neck model has a dark, clean and uncompressed sound with low output and warm, smooth attack. The Steve Morse Bridge model has lots of power with a strong upper midrange peak making the low notes pop with a hard pick attack. The lows are tight and clean even when he uses them with a high-gain amp. First there were magnetic pickups, hex pickups for guitar synth, and piezos for that acoustic guitar sound. Now there’s LightWave Pickup System from Audio Optics, Inc. The LightWave is a departure from conventional magnetic pickup technology. For years; acoustic guitars have been trying to perfect a system of amplifying their “unplugged” styling without the use of a microphone. Though many guitars these days come with built-in piezo electric transducers (i.e. pickups), players still complain of the harsh, brittle tone associated with those systems—a sound that requires quite a bit of tweaking to make it vaguely resemble an acoustic guitar. 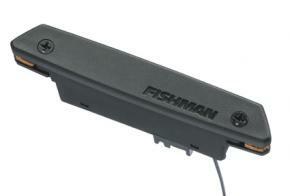 Though piezo transducers have improved quite a bit over the years, the other option for acoustic players is to use an electromagnetic transducer (not unlike an electric guitar pickup) that fits snugly into an acoustic guitar’s soundhole, such as Fishman’s Rare Earth Models. 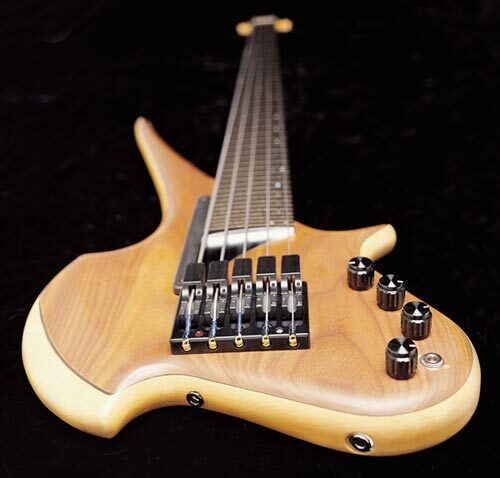 The Rare Earths are so named because they use neodymium (a rare metal) pole-piece magnets which, according to Fishman, allow for better string-to-string response. Available in single-coil or stacked-humbucking versions, the pickups are completely active, using low-current, battery-powered Class-A preamps. Installation is unquestionably hassle-free—just pop the pickup into the soundhole and tighten the mounting screws. For permanent installation, you’ll need to cut the Rare Earth’s pickup wire down to a length suitable for it to run comfortably from the pickup to the endpin jack, and drill a hole in the guitar’s endblock to accommodate the Fishman jack (definitely best left to a pro). We sampled the Rare Earth pickup in a Lowden 0-10 jumbo acoustic, played through a Marshall Soloist acoustic amp and directly into a Mackie mixer via a SansAmp. Each pickup had it’s own distinct sound, but both models captured the exceptional bottom end, bright highs and broad dynamic range of the guitar. 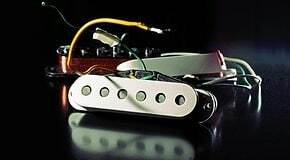 The single-coil pickup behaved like a single-coil. It was susceptible to RF and 60 Hz noise conditions, and it was significantly brighter and more shimmering than its humbucking counterpart, making it a good choice for dreadnoughts and other boomy-sounding guitars. It also proved to be exceptionally responsive to fingerpicking and situations with various dynamic peaks. 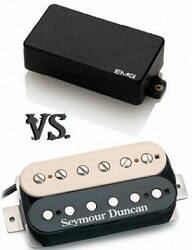 The Rare Earth humbucker is very quiet and not as bright as the single-coil. It excellently harnessed the percussiveness and nuances of the guitar, fully capturing the instrument’s natural, acoustic tone. The humbucker also features a brilliance switch that boosts 3 dB from 2 to 20 kHz. The effect is subtle, but definitely makes a difference when fingerpicking, yielding better single-note definition. Its coloration is also audible when strumming hard on the treble strings.